According to Juha Hiitela of Urheilusanomat, the Chicago Blackhawks have signed Finnish goaltender Antti Raanta to a one year entry-level deal. 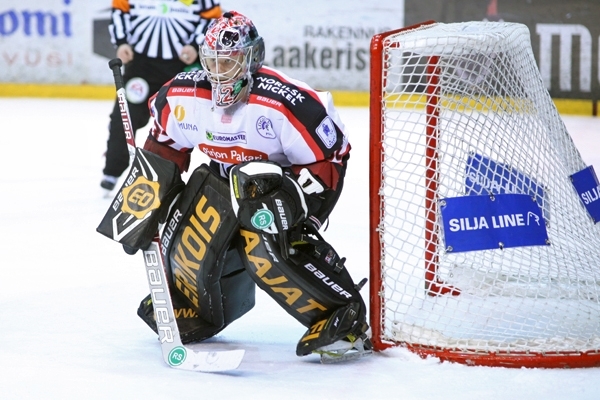 Raanta, 24, led the SM-liiga in save percentage (0.943 SV%, third highest in league history), goals-against average (1.85 GAA), and ranked fifth in shutouts (5 SO), while compiling a 21-10-11 record with Assat Pori in the 2013 regular season. His fantastic play throughout the season earned him honors as best goaltender in the league and regular-season MVP. In the 2013 playoffs, he elevated his play even higher, posting a 0.955 save percentage, 1.33 GAA, and helped his team capture the Canada Bowl (the Finnish equivalent of the Stanley Cup) while winning the Jari Kurri Trophy (equivalent to the Conn Smythe) for his dominating postseason performance. Michael Russo of the Star Tribune reported that the Minnesota Wild were in hot pursuit of Raanta, the Edmonton Oilers and Winnipeg Jets also had interest in the goaltenders services. As of now, Corey Crawford, Antti Raanta, Mac Carruth, and Kent Simpson are the only goaltenders under contract heading into the 2014-2015 NHL season. With Ray Emery, Henrik Karlsson, Carter Hutton, and Alec Richards all set to become UFA’s in the off-season, it’s no surprise to see the Blackhawks add a little bit of depth to help shore up the goaltending position. Raanta is expected to receive an opportunity to backup Crawford next season. One of Hutton or Karlsson could return to the Rockford IceHogs to compete with either Carruth or Simpson for ice time in the American Hockey League.